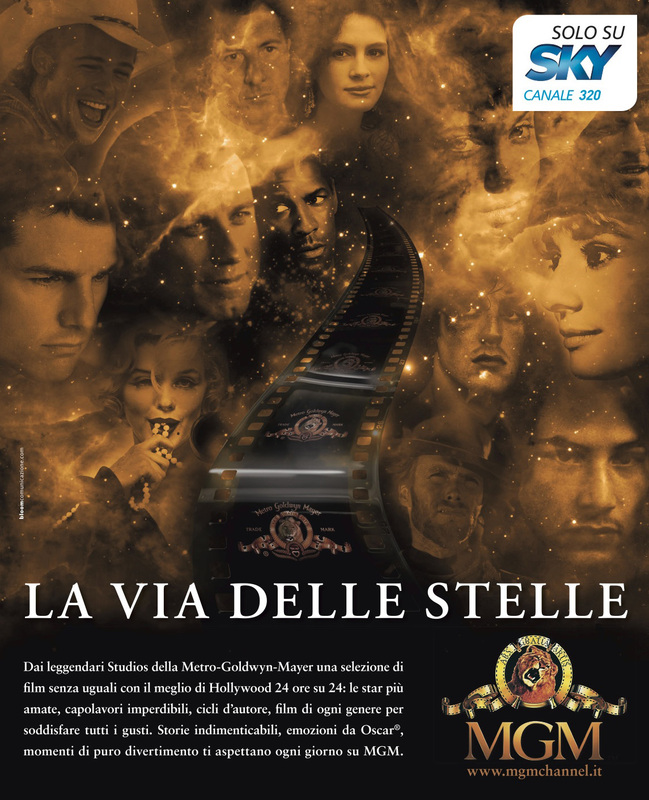 La Via delle Stelle – MGM CHANEL | "Another World is Possible"
Featuring a vast archive of Oscar winning classic films from Munro and Rocky to Hepburn and Bond, the Italian MGM Channel was a veritable ‘Way’ amongst the stars. ‘Via’ in the sense used above can be literally translated as ‘road/way’ as in the Milky Way (Via Lattea). The entomology of the Milky Way is quite interesting, justifiably capitalized the Milky Way derives from the Greek word Galaxias, the Greek creation myth that had Hera spilling her milk whilst suckling Heracles. Milk in Greek is gala, the root of Galaxias. An estimated 12% of the English vocabulary has Greek origin. Another note on capitalization, I have recently seen that it does well to go over the correct usage, which differs from country to country.